Whenever I see my signature I'm thinking I must be nuts for having ridden so much! Last edited by ave on Fri Nov 02, 2012 3:07 pm, edited 1 time in total. Mate introduced me to this a couple of months ago. The first lets you export a strava ride or segment to a Garmin to do as a course and the second plots all of your rides on the same map. Think i found thhis one on here somewhere but not too sure. Looks like I need to ride more! Nifty! Thanks for the links. wingguy wrote: Looks like I need to ride more! 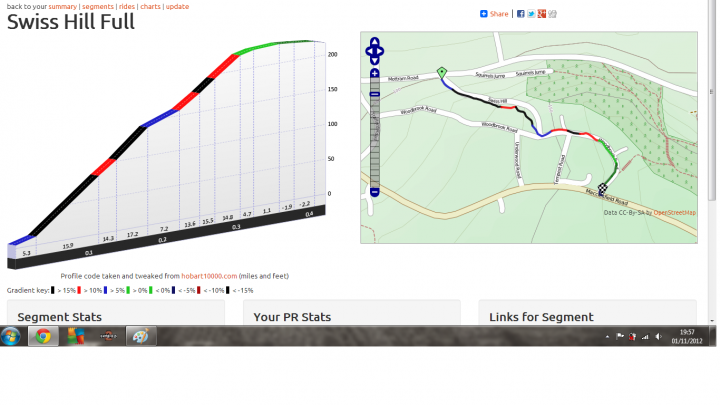 wtf, man, you have an average of 3 KOM's per ride. I'm going to go ahead and imply hacks on this one. Stages Power Meter G2 discrepency with Strava and cutting out?